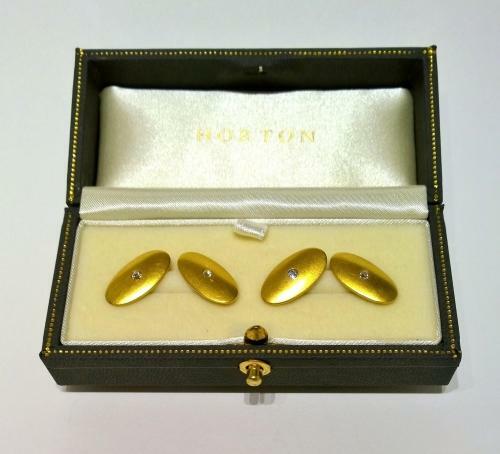 An antique pair of gold and diamond cufflinks. c.1900. Oval slightly domed shaped cufflink, each set with a small old cut diamond. Detachable centre connection bar.